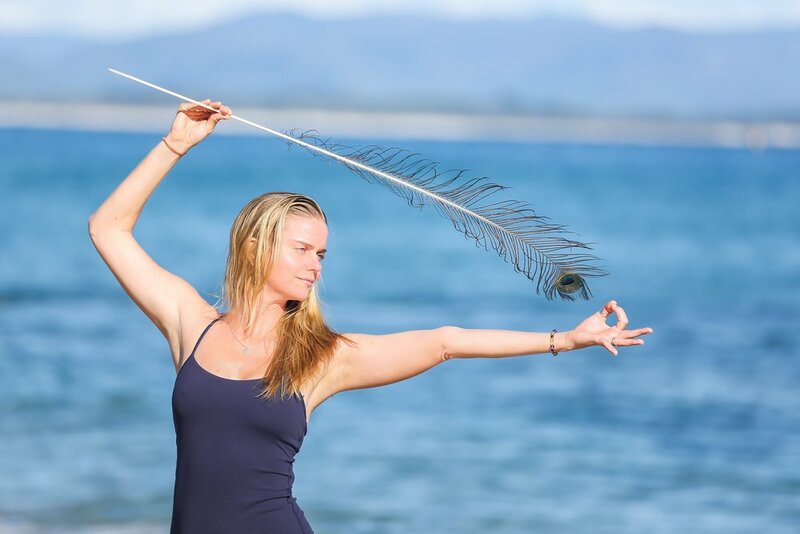 During this Prana Vinyasa yoga workshop, Delamay will guide you through a variety of Saraswati inspired namaskars and wave sequences finely crafted to awaken the sacred waters of the body, designed to massage, purify and coax the multi-layers of the physical body to deeply open, breath fully and move as one. We approach this creative practice as a moving meditation, turning to face different directions, working alone and in partners and potentially moving into the matless space. We explore a full spectrum of pulsing, body and rhythm vinyasa to enhance freedom of expression in the fluid body, satisfy the busy mind and ignite the creative spark within us all. By drawing upon the power of Sahaja/Spontaneous movement we increase our range of motion, enhance our individual mobility and find balance with total ease. With a perfect balance of movement medicine and yoga asana during this flowing and inspiring workshop, we will be using Kramas / different stages of evolution within asana making it suitable for all levels. Your exchange is £37.50 and spaces are limited.